Every career has a pivotal moment. For Michael Marino, it was a lunch meeting with the CEO of St. Joseph Health four years ago, during which she asked if he wanted to serve as CMIO. Marino, then CMO at St. Jude Medical Center, knew it wouldn’t be easy; the system was using nine different instances of Meditech. But he accepted the challenge, and now he faces another in leading St. Joseph through the merger with Providence that became official last summer. In this interview, Marino talks about having an “evolving” IT governance structure, the work they’re doing with predictive analytics, why leaders can never stop learning, and the fine line CIOs must walk in balancing consumerism with the burden placed on clinicians. The question become how do we incorporate structures? What do we learn from each other? The difficulty in an organization this big with this many spokes is how do you make sure you know what’s going on so you’re not wasting time and wasting money. There’s a difference of applications, but when you’re talking to your colleagues, people are dealing with the same issues. Healthcare IT is healthcare IT from a problem standpoint. Solutions may be different, but everybody’s dealing with the same issues. Gamble: Thank you so much for taking time to speak with us, I appreciate it. Gamble: To get some background, you’ve been with St. Joseph since June of 2012? Marino: I have been at the System Office since June of 2012, but I’ve been with St. Joseph since 1997, 20 years this spring. Gamble: Okay. In terms of the merger between St. Joseph and Providence, obviously this was a big one, as it formed the third largest non-profit system in the US. When did it actually become official? Marino: The merger became official last July. Gamble: From your perspective, what has it been like to go from what was already a large organization to a larger organization, in terms of all the change? Marino: I think it’s an exciting time. It’s also a little confusing. The difficulty, as you just described, is that St. Joe’s in isolation was a fair-sized organization. Providence is almost two times that, so it’s taking the time to build relationships with counterparts and be able to debrief what it’s like. So much work gets done with institutional memory or people trying to delegate things out and trying to be able to unpack that and paint a picture for your counterparts so that you can understand what St. Joseph’s like, what Providence Health and Services is like, and then how do we map out a new Providence St. Joseph Health. That takes time. Gamble: Right. Now, at this point, how is the IT governance structure set up? Is there a CIO across the organization? Marino: It’s still evolving. As of the end of December last year, Janice Newell who was the Providence Health and Services CIO is officially the CIO of the entire organization. Then my title was changed from CMIO/CIO to Chief of IS Operations and Clinical Systems for St. Joseph Health within Providence St. Joseph Health. Gamble: What does that entail as far as your role? Marino: Base title change and not a lot of change day to day. I’m still responsible day to day for all of IT in all of clinical informatics for St. Joe’s. Gamble: Really, that was just more of the evolution of becoming a big system, a bigger system. Gamble: Now, what is your relationship with Janice? Is she somebody that you speak to very often or does it depend on what’s going on? Marino: We usually talk one on one once a week. And the teams have been working together to try to map what the new organization looks like, so lots of meetings. Providence internally was on a journey to be more system-like, so they have a lot of new governance structures. As St. Joe’s comes along, the question become how do we incorporate structures? What do we learn from each other? The difficulty in an organization this big with this many spokes is how do you make sure you know what’s going on so you’re not wasting time and wasting money. Gamble: Right, and I can imagine this really is a long process to get these two IT departments to be more on the same page. Can you talk about what the approach was to have some cohesiveness there? Marino: We started the dialogue probably just over a year ago. The first combined meeting of the two teams from a leadership standpoint was last February. We spent probably a day and a half in an airport hotel in Seattle trying to explain how we do things. Organizational structures are always interesting because part of them are by design, and part of them are related to personalities. In any org structure you look at you say, ‘Half of what you do makes sense. How did you get these other pieces?’ Because you stepped up and you did a good job and you’ve got handed them, so they may not match what your core functions are. We spent a lot of time getting to know each other so that people felt comfortable. We spent a lot of time trying to map out, ‘we do this.’ ‘We have this governance structure.’ ‘We have that governance structure.’ And there’s the fact that we use different applications — Providence is an Epic user historically; they have Epic with almost 100 percent penetration, even though it’s not all the same instances. St. Joe’s has historically been on Meditech inpatient going way back, and on Allscripts in outpatient, at least in the integrated medical groups. There’s a difference of applications, but when you’re talking to your colleagues, people are dealing with the same issues. Healthcare IT is healthcare IT from a problem standpoint. Solutions may be different, but everybody’s dealing with the same issues. Gamble: Right. So I guess the million dollar question is, is there a long-term plan to get everyone on the same system? Marino: That is certainly in the works. Initially when we were coming together, the thinking was that there’s no need to rip and replace, but I think when you start to look at how you bring data together, how you look at synergies with teams, things change. So we have started the due diligence to look at what it would be to move St. Joseph Health to Epic. Gamble: As of now, are the hospitals that fall under St. Joseph on different instances of Meditech? Marino: That’s a great question. Historically, St. Joe’s had nine different versions or instances of Meditech. I mentioned that I came to the System Office in 2012 — that’s why I came to the System Office. Leadership had made a decision to go to one version of Meditech. I was, at that time, the CMO at one of the hospitals and had Informatics reporting to me, and had the rare distinction to have been the first physician within the St. Joseph Health System to put something in the CPOE order within Meditech. Marino: Yes, it’s my great claim to fame. It’s my fault — I started it. So I came to the System Office, and we built a team. We looked at different options of going to one version of Meditech and settled on something called Meditech CMS, which is Corporate Management Software. It allows you to have one code base with different databases. We have one code for Meditech and three regional databases, and then when you go to the facility level, we have different orderables, different provider dictionaries, and different room dictionaries, but it’s all one code set. We’re pretty standard across the system. Nursing does everything the same way. In pharmacy it happens where people may have slightly different medications because that’s what’s available in the marketplace, or small hospitals don’t do MRAs and you have different doctors. 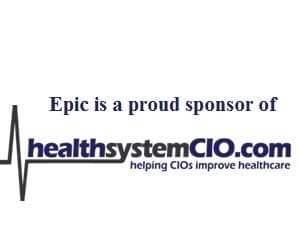 But we’ve really spent a lot of time working toward a standard, which will make it easier to migrate to Epic, because Epic is a very standard system in the way Providence has it deployed. It’s as standard as they can possible be in the current place in the journey. Gamble: And have there been upgrades since then? Marino: We’ve done the standard code upgrade. We’re on the latest version of Client/Server. We’re not on Meditech 6.1x which is their new web-based platform, because that would have been a different leap, but yes, we keep Meditech up-to-date. Gamble: Okay. So you went from CMO at the one hospital, to this role. Was that something that you wanted to pursue or did the chips just fall a certain way? Gamble: And the rest is history. Gamble: Obviously you had the knowledge base, but was there still a bit of a learning curve to adjust to the role? Marino: It was great to have a lot of relationships, although a fair amount of those got strained in the process. Gamble: Sure. I would imagine that having experience as a physician served you well — and does serve you well. Marino: It does. I think when you look at physician executives — and this is just my view — there are two kinds. There are people who are physicians and great leaders and just trying to do their work by influence, and then there’s the other bucket. I put myself in the other bucket. When I moved into leadership, I became board-certified as a physician executive. That didn’t seem quite enough, so I went and got an MBA. That was nice, but there were still gaps, so when board certification for clinical informatics came around, I went and studied that and got board-certified. I think if you’re going to be a true leader in an organization, you can never stop learning, and you need to constantly be adding things to the toolbox. Gamble: Right, and obviously there’s a different way of leading when you go from CMO to CMIO. Is that something where you just had to learn as you go? Marino: I think having core leadership attributes or experience helps, but it’s a constantly evolving process. The more you lean out of the clinical realm into the technical space — and you have to tread lightly, leadership skills or business skills are adaptable. You see lots of people leading different things and it may not be their core expertise. We have people leading hospitals all over the United States that aren’t clinical, right?